This week is a busy concert week for me and I decided to add one more show to the schedule when Winterfylleth hit Eindhoven. On a Wednesday night in Dynamo? You bet I have to be present at that one! So we head down to the Dynamo basement for some fine UK black metal. Now, for those that are not aware, UK black metal has always had a distinct flavor. Winterfylleth was among the bands featured in below-linked documentary (check it out, it’s cool). The band can be considered an integral part of the Brittish sound. So we kick off the night with Necronautical, a relatively young band in the genre. 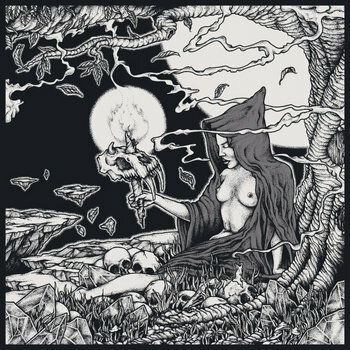 These guys from the northwest of England play a bit of an eclectic kind of black metal. The sound is mostly solid, but combining symphonic elements, grand clean vocals with heavy and raw passages seems to sort of clash and never find that special chemistry during this live show. Specially the intense performance of their vocalist I liked. The delivery is passionate though. The band sticks it out and plays some blistering riffs, but never really manages to get the crowd on their side. These guys have potential I believe, but I feel that they need to find the right modus for that. While waiting for Fen to set up, I had a chat with Dan Capp from Winterfylleth and Wolcensmen (which you pronounce as ‘Wol-Ken-s-men). Dan is a very friendly guy and he informed me that Wolcensmen will be playing live. If you can be there to see this (sorta this, I hear it will be different), you’re lucky. I also got that Winterfylleth was going to play work from all their albums. Excitement rising for me then. First Fen is up and this band makes some music that really deserves praise. On record, the sound doesn’t really get the right treatment it seems, since I found them sort of hard to get into. Like when you read some heavy literature, for example, just heavy material. They play some fierce atmospheric black metal, but here and there you can detect particular Fen-isms, like a little funky bass loop or a bit of Pink Floyd-esque riffing if I may call it that. The problem arises on parts where their sound is quite dense. On those passages, three musicians are bound to have limitations in a live setting. That is clear from the switches between clean vocals and screams, but for a bit, the band is really almost losing control of their material. Still awesome though and very happy to have seen them play finally. Winterfylleth captured me with the album ‘Divination of Antiquity’, but obviously they’d been at it for a good 6/7 years when I found out about them. 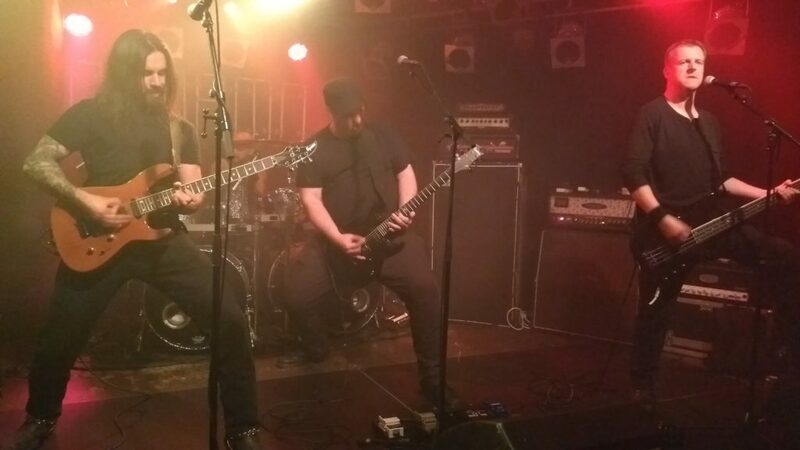 Bumping into drummer Simon Lucas and singer Chris Naughton at Eindhoven Metal Meeting a few years ago was very cool. Meeting Dan Capp and bass player Nick Wallwork this time was also cool (it led to this interview). Both sing along live, to give an extra wealth and cadence to the folkish parts. Those have become an integral part of the Winterfylleth sound. The band live is a continuous flow of great songs and let me emphasize how I really mean flow. 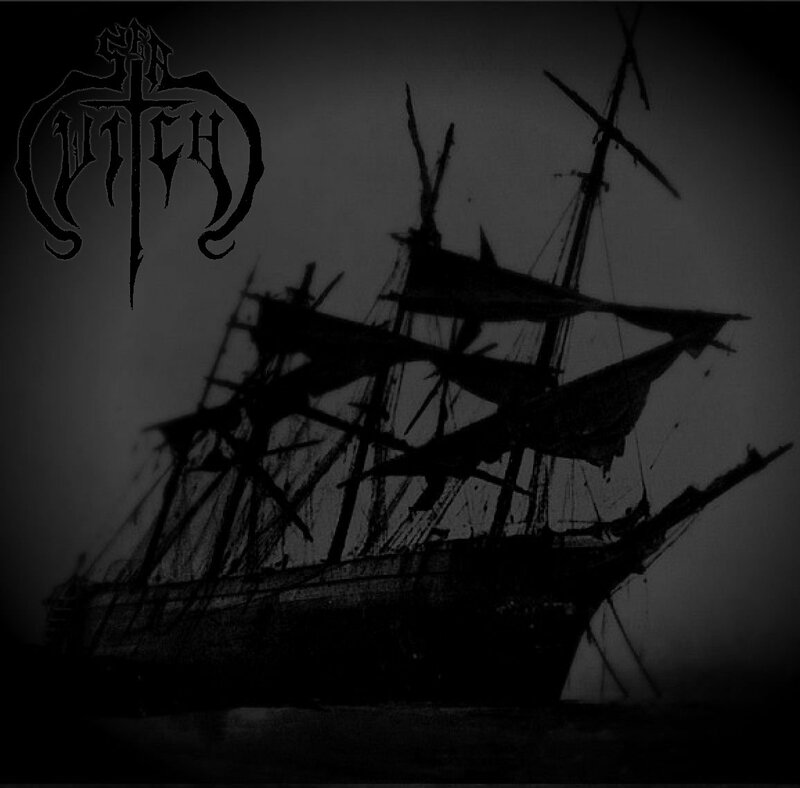 The black metal of this band is not hooky and harsh, but melodic and hauntingly beautiful at parts. While Naughton takes on most vocals, a lot of harsh parts are done by Wallwork. Capp focuses on the intricate guitar parts that give the music that special polished shine. Listening to the band play, I think of the landscapes on the covers. The wide, beautiful vista’s depicted there have a lot in common with the beauty of their music, it’s stretched out candor that invites the listener to dwell in it. The set covers every album, with some particularly good old tracks dropped in to celebrate the 10 year anniversary. Though the band has obviously shifted their sound throughout those years, the set is cohesive and worked into a strong story. The magnificent drumming is not overwhelming, even not in the small basement of Dynamo, with a remarkably balanced and harmonious sound. Hearing personal favorites like ‘Whisper of Elements’ totally makes my night worth it. When we toast to 10 years I did get myself a beer as a little token of respect, because this band nails it every time. Closing the set with a mighty display of force. A remarkable night with black metal that sounds just perfect to me. Thanks, guys, congrats on 10 years and onward to the next 10 I would say. Now and then you find a band that is approaching music from a very own perspective and position. With experience in Winterfylleth, it is no surprise to find that Dan Capp is one of those that likes to find the root of things and go from there. Wolcensmen is essential Englishness, but without the stereotypes. There is no superiority, just a thoughtful and captivating story of its identity. It’s noteworthy that though Dan is active in Winterfylleth, his own journey with Wolcensmen started way earlier and has its roots exactly where I felt they came from. But why spoil information that you can read below from the source. What I would like to address in this brief introduction is the album that Wolcensmen has released recently, titled Songs from the Fyrgen. This record is a collaborative effort that takes you as a listener far, far away from England that you may imagine to something more essential and pure. To a pastoral vista that you may only still find in novels these days. I think it’s an album that you can fall in love with. First off, let me ask you how the idea of Wolcensmen was conceived. I understand it’s been a work of multiple years actually? Dan: Musically, the roots of Wolcensmen are in my teenage years, around about 1998. 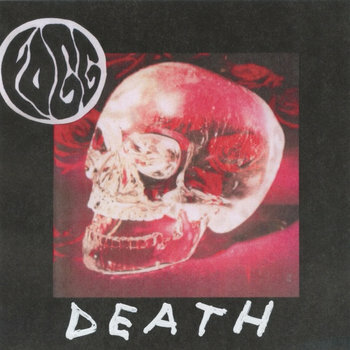 I’d recently been introduced to the early works of Ulver, Opeth and Empyrium (as well as ’90s Norwegian black metal) and I was particularly taken by the mood created in these bands’ acoustic interludes. I was inspired to create something similar and would use my stereo Hi-Fi system to record dual-guitar parts onto cassette. Friends at the time said I should do more of this but I instead chose to make more aggressive music for some years. Then in 2010 I found myself in a Dublin pub watching an Irish folk band perform and it dawned on me that England lacked this sort of culture and perhaps I could be someone to resurrect it – this was the conceptual beginning of Wolcensmen. I remembered how much I’d enjoyed writing acoustic songs in my younger years, wrote some songs for a demo and… here we are. How did you get into making folk music like this? Is that a long lasting desire you had and where does your inspiration come from? Are there artists that you would cite as influences? Where do the other elements come from? Dan: I guess I pretty much answered this in response to your last question, but I’ll add a few things. I was introduced to folk music by metal bands who had veered from the trodden path and used acoustic instruments to enhance their dark, romantic atmospheres. It’s only in recent years that I’ve familiarised myself with more traditional folk (usually in the form of acts like Steeleye Span and Blackmore’s Night who perform many traditional songs from around the British Isles and Europe). Wolcensmen’s primary influences will always be early Ulver and Empyrium in particular. However, Songs from the Fyrgen wouldn’t sound the way it does were it not for classical music and black metal (related) bands such as Summoning, Burzum and Bathory. What is the goal, the purpose that you had with the project? The feeling you wish to evoke? Where do you draw your inspiration from? Dan: The purpose of Wolcensmen, thematically, is to remind the World that England exists as a people and a culture, and that its original culture is Heathen and Teutonic. Obviously that is not to say that it is music only for Englishmen – far from it. Most of the people who seem to have truly connected with it on a spiritual level are from all over the World. But because of this purpose, the feeling I want to evoke is one of a pre-Industrial England where mysticism reigns supreme and man can still lose himself among quiet, pristine hills and forests. ‘Fyrgen’, from the title, means ‘wooded hilltop’ – remembering a time before dense human population, industry and farming had removed much of the woodland. In 2013 you’ve released a demo, how did that help you to get to the final product and did you get in touch with the other artists before or after this production? Did it help in conveying the idea you had? Dan: The demo was very much a solo project – an experiment more than anything, as I’d never even sung lead vocals on anything before. I had no idea whether the songs would even turn out well. It certainly set the mould for Wolcensmen, undoubtedly. The concept was already very sure and strong by the time of the demo recording. The only contributor I was talking with at that time was Jake Rogers, who was offering me feedback on the mix (via email) as it unfolded. During that time he offered to perform flute on any future songs I wanted him to, which is how he ended up contributing to the album. Can you tell me how the collaboration worked? I understand you are in charge of the final product, but in what way did different people from various countries contribute to something that is quintessentially a British folk album? Dan: It was a different story for each of the contributors really. As mentioned, Jake Rogers had offered to play flute for me, which I was very keen on as I only play guitar and wanted a variety of real instruments on the album. With most of the parts, the good men involved performed and recorded with real instruments what I had written in MIDI, set to a MIDI tempo map. They’d then simply send me the digital files and I edited them into place. On ‘Snowfall’ I gave Jake a blank canvas to compose a flute part over the top of, and the result almost brought me to tears. Likewise with ‘Neath a Wreath of Firs’ where I asked Grimrik to create an intro and outro – whatever he wanted as long as it fit the song. Again, he amazed me with what he conjured. 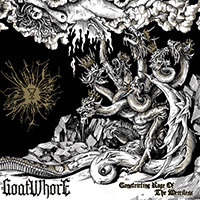 Nash Rothanburg was given a section of the song ‘Hoofes Upon the Shymmeringe Path’ to add some ritualistic vocals to and did just what was needed. Mark Capp, my brother, is a drummer and helped me to write all the percussion parts as well as performing Bodhran on two of the songs. Dries Gaerdelen brought a wonderful human touch to my MIDI piano compositions. And the most difficult instrument to coordinate the recording of was Raphael Weinroth-Browne’s cello, because it is present throughout most songs. I needed to give him a big set of files and time to learn it all (which he did masterfully, as expected). Songs from the Fyrgen is quintessentially English, but I didn’t need all performers to necessarily be English – Englishness is just the foundational, conceptual concept behind the project. What does the heathen aspect mean to you? And where do you get the stories and themes from for those willing to delve into this? Dan: Well the Heathen aspect is vital, because I am a Heathen and Wolcensmen is essentially a cultural statement. It is meant to be romantic, and I simply can’t see that there’s anything to romanticise about post-Christian England. It was the beginning of our decline. The stories are mine, except for ‘The Mon o’ Micht’, which is lyrically traditional, and ‘Hoofes Upon the Shymmeringe Path’ whose lyrics are based on the names of the horses belonging to the Asa (Aesir) gods, on which they ride across Bifrost, ‘the shimmering path’, to Asgard. My other lyrics are inspired by folk tales, natural phenomena and esoteric concepts. You’re also active in Winterfylleth, a group that (although not always as explicitly) draws inspiration from the land and heritage very strongly. Has that helped or affected your own project in some ways? Did they help you with ideas or such? Dan: Surprisingly, no! I joined Winterfylleth two years ago at the start of 2015 and Wolcensmen was already well under way. 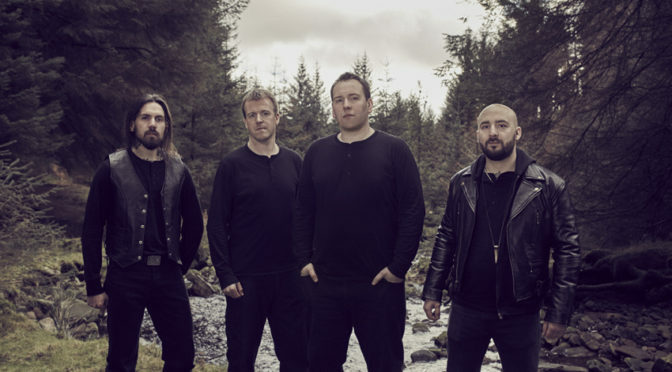 Myself and the other guys in Winterfylleth are long-time friends and happen to have a similar worldview, which I suppose is one of the reasons they felt I was a good choice when they needed a new guitarist. They were always on hand to offer feedback while I made Songs from the Fyrgen, and I value their support. But composing for Wolcensmen was a very personal process and only those who performed on the album had any real influence on the music. You’ve recorded in various places. There are other artists in the folk realm who’ve done this in order to captivate something in the music. Is that something you had in mind as a goal or did it become part of the result in some way? Dan: No. There was nothing desirable about recording different instruments in different parts of the World. My collaborators did a stunning job which I’ll forever be grateful for, but given a choice I’d rather record everything in one place and time – preferably in a good studio. When I listened to the record, I immediately felt a connection to the way Tolkien depicts the Shire as a sort of pre-industrial England in The Lord of the Rings. Very pastoral, calm and natural. Does that make sense to you in a way? Dan: Absolutely!!! I touched on this earlier in the interview without having read your questions ahead. Tolkien is without a doubt the earliest, most key influence in my cultural and creative mind-set. His books set the scene for all of the language, art, landscape and mythology I would go on to love. He was deeply regretful of England’s industrialisation, as am I. In some ways – and without having mentioned it anywhere – Songs from the Fyrgen should really be in honour of J.R.R. Tolkien. Furthermore, my target audience would tend to be the types of people that also fell in love with his books; so I hope with this album to have given a little ‘boost’ to that part of someone who felt magic when first reading The Hobbit or The Lord of the Rings, but maybe hasn’t felt it too often since then. What future plans do you have for Wolcensmen? Will there be a live experience? Dan: There are no future plans, only vague dreams. Composing is what I love most, and I hope I can make another album sometime. I wouldn’t be short of ideas, but I simply can’t bring myself to self-record again (even if the result was pretty good). Unlike a lot of modern musicians, I don’t enjoy the production side of things, and I would need a producer to work with – someone who understands this music well. This would depend on future label support so I’m not holding my breath. Deivlforst are wonderful, but these days, in the musical underground, many labels often count on musicians to self-record their music in home studios. As for live performances… I really don’t know. At first (when I watched that Irish Folk band perform) I envisioned it being very much a live thing. But then as the project took form I knew it couldn’t be recreated onstage. Now there are a few people calling for it so I’m not ruling it out. The demand would have to be high though, because the preparation required for even a single show would be quite a task. Another possibility is some kind of stripped down two-man version, which I’d say is more likely. Finally, if Wolcensmen was a dish (food), what would it be and why? Dan: Haha… Let’s go with: Fried mushrooms in wild garlic, with a desert course of berries. Mushrooms because they’re wild, mysterious and have long grown in the indigenous forests of northern Europe. Garlic because of its healing properties. Berries because they’re linked with Yuletide, as Songs from the Fyrgen seems to be. Thanks for the thoughtful questions and interest in my answers. Wæs þu hæl to you and your readers Guido.